Tony’s five cheese mac is a hit with everyone! Fontina, white cheddar and gruyere are the base of this gooey and creamy dish, which is added to curly cavatapi and topped with buttery bread crumbs. 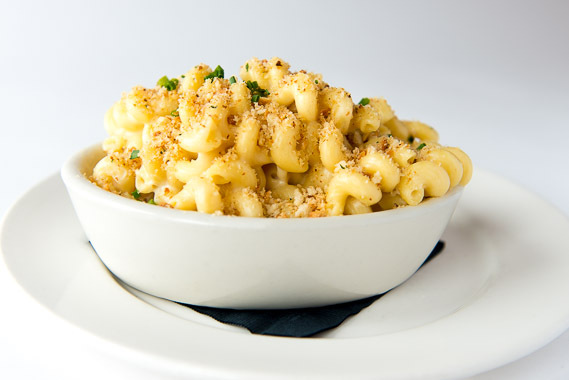 The way we make our mac and cheese promotes this side dish from a supporting role to a true superstar. Pasta and cheese together as casseroles have been recorded in cookbooks as early as the 14th century’s Liber de Coquina, which is known to be one of the oldest medieval cookbooks. It was originally a French dish of parmesan and pasta and was brought to England during this time.